PlayStation 3 owners with a deep, deep appreciation for the art of the Japanese role-playing game will be delighted to learn that NIS America will bring Trinity Universe to North America and Europe this summer. 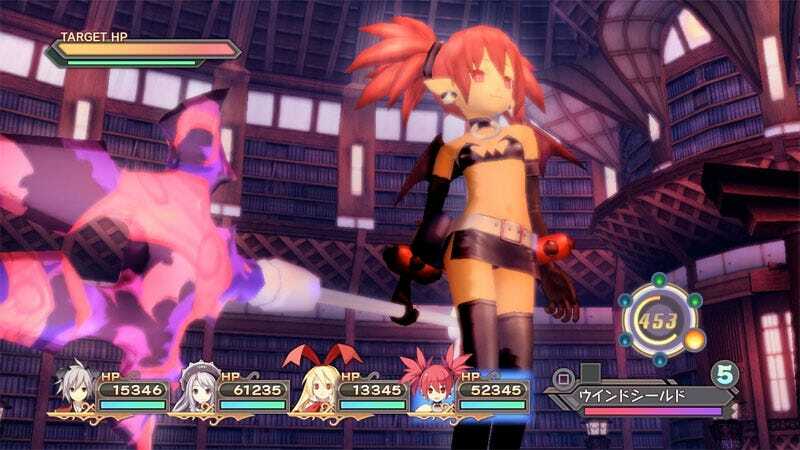 If you're a casual fan of the JRPG—and somehow missed the original announcement of Trinity Universe—that's the crossover game co-developed by Nippon Ichi Software, Gust, and Idea Factory, bringing together characters from the Disgaea and Atelier series. Here's the set up from publisher NIS America: "For generations, Kanata's ancestors have protected the Netheruniverse by transmogrifying into a Demon God Gem. However, Demon God King Kanata refused to become the gem and instead became a Demon Dog King. Since then, he has enjoyed a carefree life in hiding, but he eventually began thinking about the toll of his decision. Accepting the title of Demon God King and becoming the gemstone will stop space debris from crashing into his world. If he could get to the source of the space debris and solve the problem, everybody will be happy. Determined, Kanata goes on a journey to save his world." Sound good? Trinity Universe hits North American and European PlayStation 3s in June.